Travis Glenn, 71, of Caldwell succumbed to his long battle with cancer on Friday, August 18th, surrounded by his wife Barbara Glenn and his two children James Glenn and Amanda Beisner. The youngest of 10 kids, Travis was born to Earl and Emily Glenn on the side of the road in Wilder on May 14, 1946 on what is now known as Travis Road. 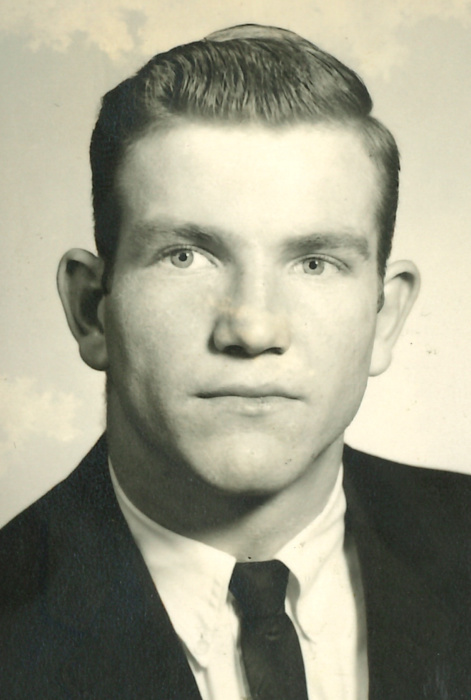 Travis graduated from Caldwell High School in 1965 as a two-time state champion wrestler. The first of his brothers, and sisters to attend college, he attended classes at Boise Junior College, now known as Boise State University in the Fall of 1965. With the passing of his mother in 1965, he decided to leave school and serve in the military with his many family members serving during Vietnam. On April 1, 1967 he proposed to his now wife Barbara, and on July 1, 1967 they were wed as the first ceremony ever conducted at the Rose Garden at Luby Park in Caldwell and remained married for 50 years until his passing. Hearing his heavenly Father Jehovah's voice in his heart in 1968, he was baptized and served as one of Jehovah's Witnesses until the day he passed. Those who knew Travis were very blessed to be guided and shown his love of the mountains and forests of the state of Idaho as he worked and played in the mountains as a timber cutter for decades, along with many many other loved activities and business adventures such as a utility line tree expert for Davey's tree in the late 60s, and then the owner of Quality Tree Care in the 70s. He proudly owned Premium West Building Maintenance with his wife for almost 30 years and chances are you have walked on a floor they cared for. Becoming a father to James in 1973 and Amanda in 1981, he was blessed with 12 grandchildren and one soon-to-be great-grandchild. Travis is survived by his brother Jerry D. Glenn of Marsing and his sister Bobbie Bonham of Mahomat, Illinois, his wife Barbara Glenn of Caldwell, his son James Glenn and wife Kate of Star, his daughter Amanda Beisner of Eagle, his son-in-law Carson Augustine and wife Janessa of Caldwell, 12 grandchildren, many nieces and nephews, and countless friends and loved ones. Travis will be laid to rest at Hillcrest Cemetery on Saturday, September 2, 2017 at 2:00 p.m.